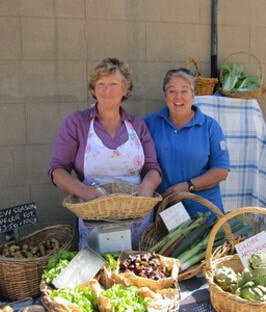 Jenny and Cathy are producers of Garlicious Grown, a great black garlic gourmet products that uses BraidGarlic. Both families farm in the Braidwood area and Garlicious™ Grown developed from conversations, thoughts and dreams to diversify and value add our farming lives. The business aims to deliver premium gourmet black garlic to a wide audience, from chefs and restaurants to individual cooks enjoying great food. So far so good - our products are being stocked by fabulous retailers, selling direct to the public and recognised in the 2015 Royal Agricultural Society Fine Food Awards - Regional Produce. Helen and Bronwyn are producers of Wynlen Confit Garlic, a delicious product using BraidGarlic that is slow roasted in olive oil. 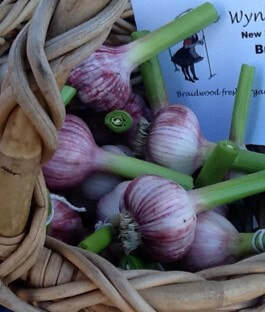 The garlic used is grown by Clarevale and Wynlen House Farms and is grown without herbicides or pesticides. The garlic is an early season variety from the Turban garlic group. You can purchase the confit from the Wynlen House Saturday stall in the courtyard of 56 Wallace St., Braidwood every Saturday from 9am until sold out.